Houston is one of the largest cities in the country, known for its oil and gas connection that has transformed it into a glittering metropolis loaded with numerous dining and shopping opportunities and quality attractions. There are attractions here for the whole family including Houston's world-class zoo and aquarium and plentiful museums and galleries that complement the historic areas of the city. 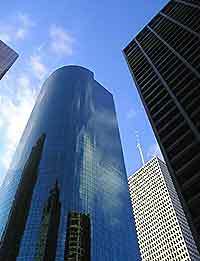 Before your arrival in Houston there is plenty of useful and easy-to-find information online about things to do, attractions to see, getting around and even free and complete travel guides. 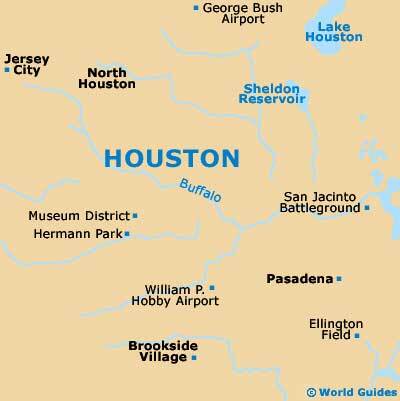 If you are already in Houston, there are numerous travel agencies and visitor centers downtown and in other districts where you can pick up maps and travel guides. There are literally hundreds of languages spoken all over America owing to the large Hispanic, Chinese and Japanese communities and other ethnic minorities, while, as with other states in the country, the most commonly spoken language in Houston and throughout the USA is English. For details on whether you will require a visa for travel to the Houston, Texas (TX) it is best to check with your nearest consulate or embassy for information specific to your country. There are several different visas available, with tourists visiting Houston normally being required to obtain a non-immigrant visa that permits temporary stay. There are a number of categories of non-immigrant visas available to those wishing to work in the Houston on a temporary basis. 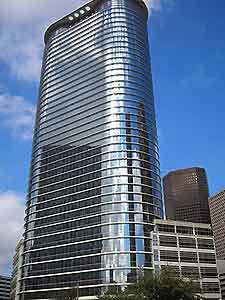 Working without a visa in Houston is always strictly forbidden and against the law. Tipping is common in Houston, when you consider service to have been satisfactory. At Houston's restaurants and eateries, a 15 percent tip is the norm, unless service charges are already included in your bill. Bars in Houston differ slightly, with a tips tray located on the counter area. Most states in the US have a sales tax of between seven and eight percent on goods and services, although some states have no tax at all. Sales tax is not reclaimable by tourists leaving Houston, unless they hold a working visa. No so long ago, Americans in Houston accepted smoking in most places without question, although nowadays things are very different, with strict laws restricting the public areas in which people are allowed to smoke in Houston. Smoking is no longer permitted on Houston's public transportation network and all restaurants contain non-smoking areas. When smoking in Houston, always check with those nearby first before beginning to smoke.